As a kid, I spent my summers in the Asheville area and my parents would take my sister and I to the Biltmore house as a “city” excursion. I imagine I found it half boring and half exciting. They did film Richie Rich there, so culturally speaking…it’s a pretty big deal. If ya don’t know, the Biltmore is the largest home in America. It was built by George Vanderbilt in 1895 and the landscape architect was the same dude who designed Central Park. 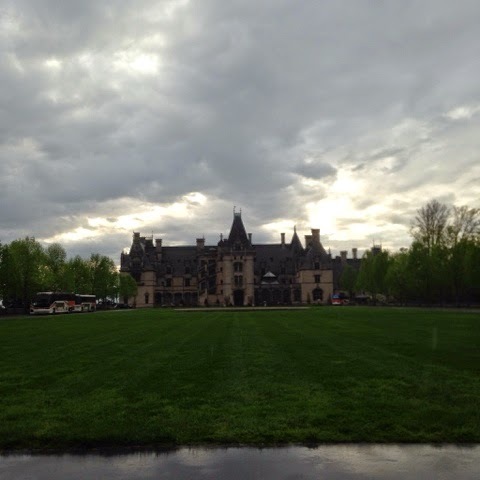 The architect of the house was probably quite important too, but he didn’t come up when I Googled “biltmore facts” so I apologize that my history lesson is lacking. The Biltmore is in the most “touristy” part of Asheville, called Biltmore Village, with all the fancy shopping and expensive restaurants that locals rarely patronize. (Well, at least the locals I hang with.) So it’s not that weird that Heather had never been, but it felt like something she needed to experience! Last Saturday we joined in the hordes of well-dressed (read: non-Ashevilleans) people and played tourist in our own town. Honestly, the house is just not something I can wrap my mind around. No part of my brain can fathom living there. Obviously the home is totally stunning and extravagant and amazing, but to me, the best part about the Biltmore are the grounds. Because the home is so otherworldly, the most relatable part of being there is the surrounding nature. The house sits on a high point of the property and when you’re walking around the house, inside or outside, it has one of the best mountain views in the whole city. There are fabulous greenhouses, gardens, and nature trails on the property, too. 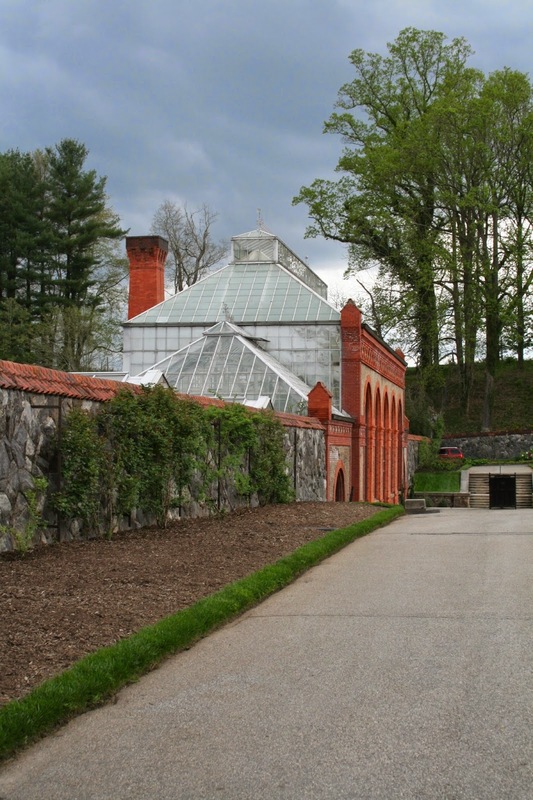 That part I can get down with; a greenhouse and a rose garden? Sign me up. We toured the gardens first since rain was threatening all afternoon. The air felt so energized and fresh, it felt amazing. I am a huge fan of that sort of weather, it’s like the air is brewing up excitement and I get to breathe it all in. Heather and I both agreed, that was the best part of being there. 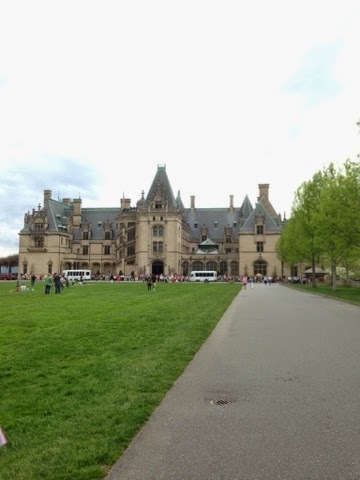 Tickets to the Biltmore are not cheap, but it is really a day-long activity. And there is a free wine tasting at the end! 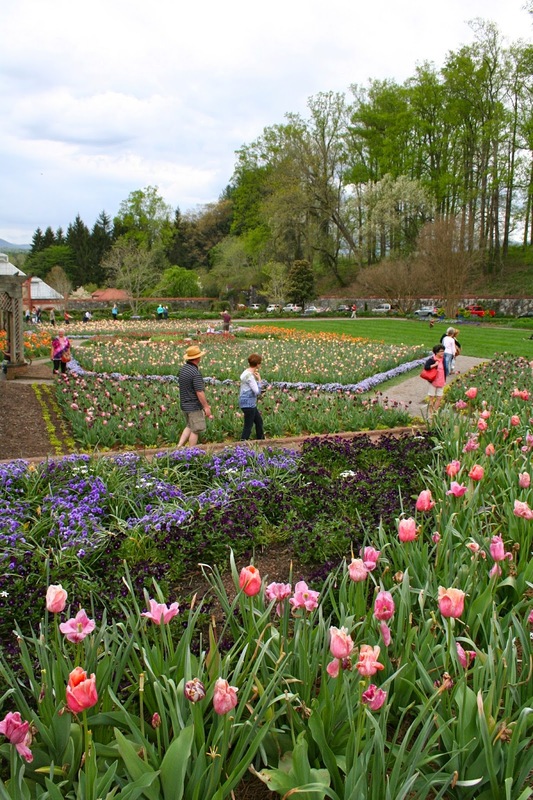 So if you would rather walk in curated gardens than Asheville’s rambling downtown, it’s a safe bet! It’s not my typical choice so it was a nice change. And all the Dowton Abbey costumes are currently on display, so….that’s pretty cool. HOLD UP. DOWNTON ABBEY COSTUMES ON DISPLAY! WHAT!